I generally don’t have the best sense of direction, and most of the time, this is not an issue, because I usually travel alone, and getting lost means making random explorations and discoveries. However, for this trip, I was traveling with my +1, and he’s a little more destination oriented than I am. 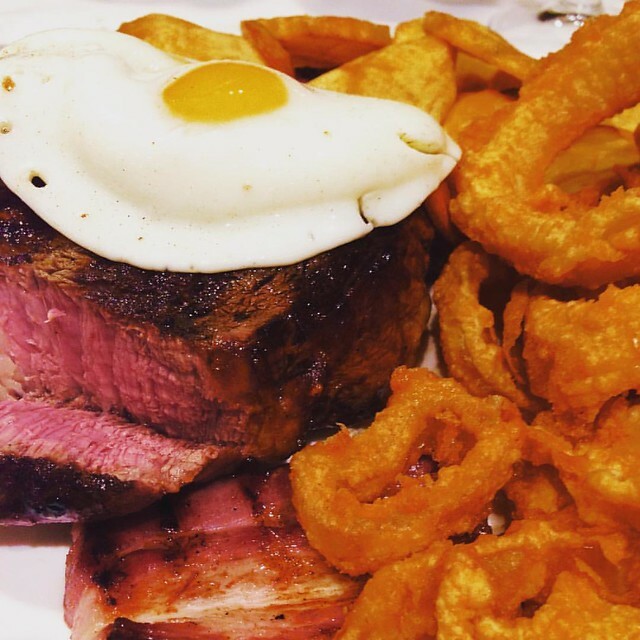 This is the tale of hangry (hungry –> angry = hangry) and lost in Buenos Aires. It was a vicious cycle. 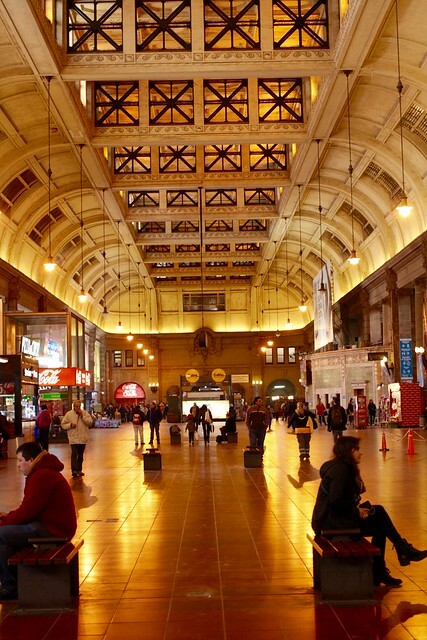 Go check out the train station and find out information about my train trip from Buenos Aires to Rosario. I checked this information online previously, but needed to go to the train station to confirm it and get a ticket. 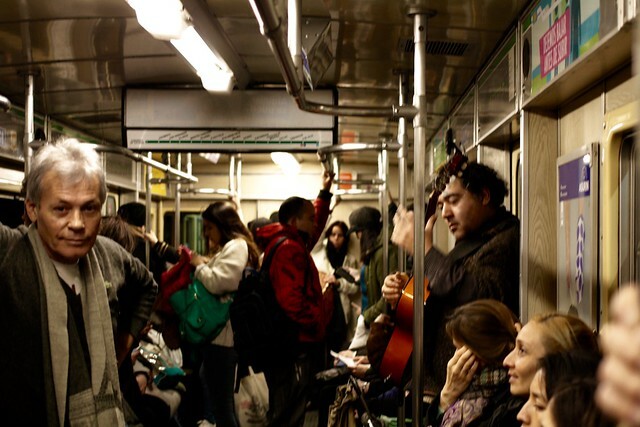 Try out the Buenos Aires metro system. I like exploring public transport. Also, it does save us money. 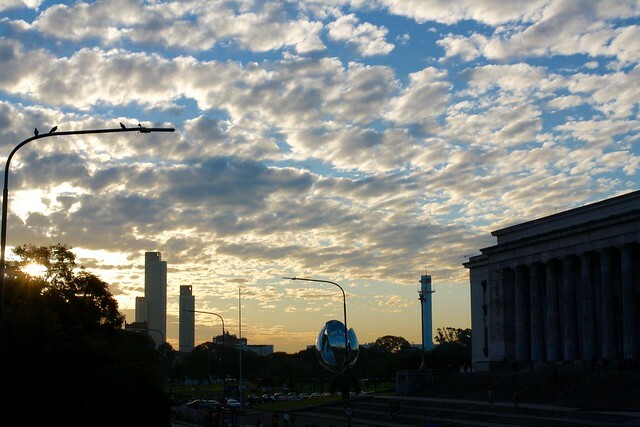 Explore Centro, which is more the business/tourist/shopping district of Buenos Aires. My friend recommended I check out ABC restaurant, a former Nazi hangout. The train station is pretty close to our hotel, and there’s also a metro station there, so we made the 15 min walk there. Two birds, one stone. The +1 was very helpful in this situation, as he managed to confirm the timing and the fare of the train from Buenos Aires to Rosario. As I didn’t bring that much cash with me, we decided to come back the next day to get tickets. The Retiro train station is an elegant building. Do check it out if you happen to be there. Next stop, metro station, which is also at the train station (Retiro, blue line). Buying a Subte card was rather interesting. I tried the ticket counter, and as it turns out, the ticket counter doesn’t sell the Subte card – they do reloads. We were directed to a lottery selling stand to get our Subte cards, which are 35 pesos (~$2.30) a piece. We loaded it up with 15 pesos. Rides cost 4.50 pesos (~$0.30), and are charged per trip. We took the Subte from Retiro to Lavalle. I actually wanted to go check out the ABC restaurant, before going to a parrilla place for lunch. Well, with my very crappy navigation, we ended up walking AWAY from the ABC restaurant. It wasn’t that bad, we did end up checking out the Obelisco and Teatro Colon. Eventually, the +1 decided to take charge, and navigated us towards the ABC restaurant. 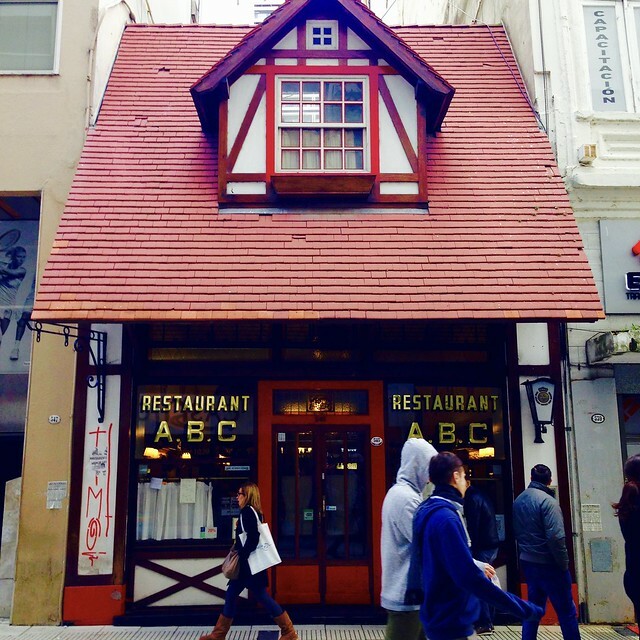 The ABC restaurant is a German beer hall, and it’s quite hard to miss, because it sticks out like an odd thumb on the street, with a wooden facade painted in the colors of the German flag. Its claim to notoriety is that, it was the lunch spot for prominent Nazi leaders who fled from Nazi Germany and sought refuge in Buenos Aires after the end of the Third Reich. Next stop, the parrilla that didn’t happen. The previous night, I settled on a place that hit the sweet spot of price and decent ratings on yelp, and wanted to dine there for lunch. I tried navigating us towards it, but once again, I navigated us AWAY from it. Sigh, and that’s why I hate the GPS and prefer a physical map. After getting lost a number of times, we were nearing the magical end of lunch hour – 3 pm. By this point, I was so hangry, I stopped caring where we ate, as long as we could find a place that was still open. We ended up going to a pizza place, because Argentina is supposed to be famous for pizza as well. I got the house special … it was odd… They put some root veggie that I couldn’t identify, and the +1 said that the Spanish here is somewhat different, so we had no idea what we ate. 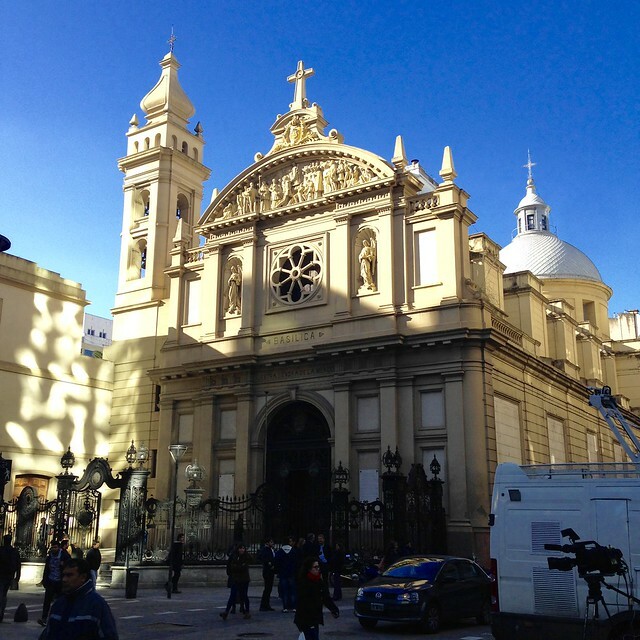 After satisfying the gnawing pain in my stomach, we decided to walk some more around Centro, just to take in some of the beautiful architecture in Centro. It was a pretty nice walk, and a novelty for the +1, because he hasn’t been to Europe, so to date, this is the closest he’s gotten to European architecture. By around 4 pm or so, we were done with Centro, so I left it up to the +1. He wanted to check out the Japanese gardens, so we hopped onto the green line on the subte, which took us from Catedral to Plaza Italia. It was a longish walk from Plaza Italia to the Japanese Gardens. We walked past the zoo, which was closed. They did try to fence off the zoo, so that pedestrians can’t get a free peep into the zoo. However, it’s kinda hard to hide giraffes from the public, ya know! We also stopped by Freddo’s for some ice cream. If you want to make bank as an ice cream stand, set it up beside a zoo. Jackpot! When we got to the Japanese Gardens, we realized we had to pay an entrance fee for it. Well … we didn’t have enough cash on us. It wasn’t the end of the world. At this point, we were probably about 20-30 min walk from our hotel, so we decided to simply walk back and check out what’s on the way back to the hotel. 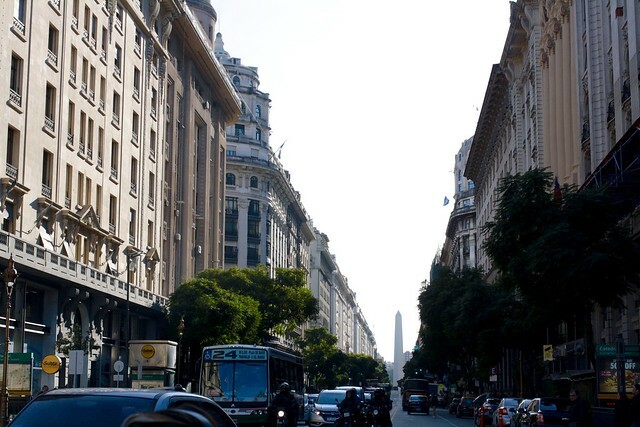 The walk on Avenida del Libertador was very pleasant. We got to check out some parks, and there were also several embassies along the way. My favorite was when we got on a bridge, and could see the majestic sunset slowly developing. The graffiti on the bridge was pretty cool, too (don’t remember the name of the bridge, but you can see the mechanical flower from there). After the rather long walk, we went back to the hotel to rest up for a bit before dinner. Dinner was at Parrilla Aires Criolles, which was excellent. I had a full portion of ribeye with sausage, while the +1 had salmon and shrimp. The excellent dinner with drinks set us back by $50 for the two of us.